Food brings us nourishment but it also brings us comfort. Cooking food is a skill, a tradition, an art. It provides us with energy, gives us nutrients, and should be a delicious, enjoyable part of our daily lives. Food is shared as a sign of hospitality. A pineapple is a symbol of hospitality and is often seen at the crown of the building as a welcoming. Did you know that the smell of food cooking was once considered by some cultures as unpleasant? The kitchen, once separated from the main part of the house, now finds itself at the center of the house.Different cultures develop traditions in preparing and placing food for meals. Do you know how people like to serve meals in your country? Can you name the different utensils and their uses as well as the different dishes and glasses? Food presentation varies in different countries. In this journey you can look into how food is served where you are and where you might one day travel! Food is food for thought! Setting the place for a meal can present many different expressions. The color and shape of the food, its aromas, and how it is placed on the table and served is all part of food presentation. In this activity you will create a placemat for your family. 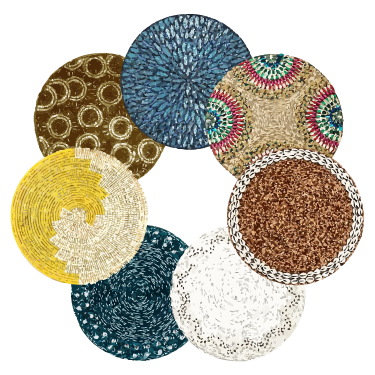 Choose a media: draw, collage, weave or paint! Take a picture of your placemat with and without dishes and silverware. Eating together means sharing the job of setting the table. Share the job below with your friends, family or classmates. Eating together is a great time to talk about the events of the day! Consider placing flowers or candles on the table for special occasions. 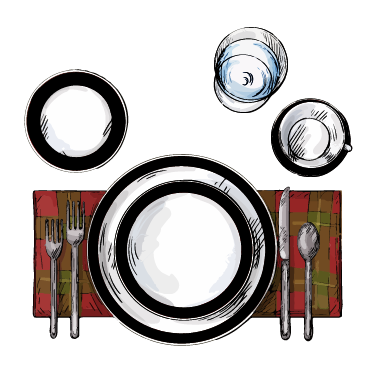 The cups, glasses, utensils and plates are called a place setting. 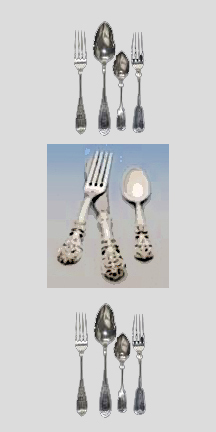 In this exercise you can design your own silverware, glasses and dishes. Consider how the utensils are held in the hand, how the plates and bowls stack and work together, and how the glasses complement the dishes. For utensils, design a knife, spoon and fork. For the glasses, design one glass and a mug. 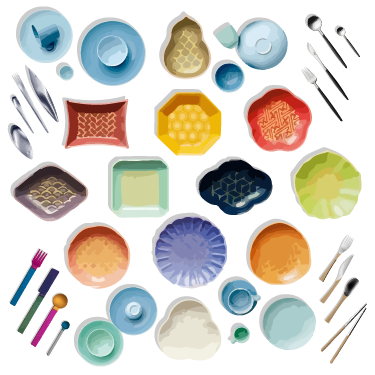 For the dishes, design a dinner plate, a soup bowl and a dessert plate. Draw all of your designs in plans and in elevations and label them. This activity requires a bit of research. Perhaps you know someone in your school or community from a different country. Ask them how their food is served and how their table is set. Take notes and make sketches! If you do not know anyone, research a different country’s cuisine and table setting. Research another. You may find both the food and the presentation of the food fascinating! Make a poster with at least three different settings. Label the pieces and show a world map where the countries are located. Everyone in the world eats with utensils. There can be formal and informal place settings. 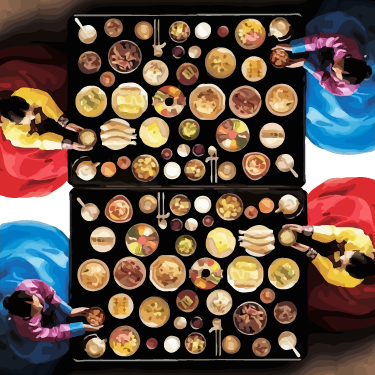 Different cultures set the table differently. Knives are placed on the left of the plate. A place setting can set the mood of the gathering.